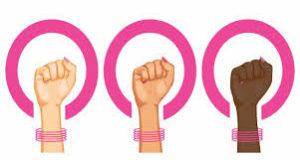 There is a broad consensus that no country can progress without the full participation of women in public life. Most of the positive attributes associated with development — rising productivity, growing personal freedom and mobility, and innovation — require increasing participation of excluded groups. Pakistan stands near the bottom of women’s participation in the workforce. This lack of participation is at the root of many of the demographic and economic constraints that Pakistan faces. It is in that context that the World Bank, in its Pakistan@100 initiative, has identified inclusive growth as one of the key factors to the country’s successful transition to an upper-middle income country by 2047. Increase access to education, reproductive health services: Half of Pakistani women have not attended school. Presently only 10pc of women have post-secondary education whereas their chances of working for pay increase three-fold with post-secondary education compared to women with primary education. More educated women are also more likely to get better quality jobs. Pakistan also couldn’t meet Millennium Development Goals (MGDs) target of reducing maternal mortality ratio to 150. The government must implement anti-early age marriage laws and invest in transforming behaviours of parents and society on such practices. This will allow girls to have more years of education and have better reproductive health outcomes. Fertility decline related behavioural change efforts are also critical in addition to improved service delivery to enable women to have healthier lives and find better economic opportunities. Unpaid care work and informal economy: Women are 10 times more involved in household chores, child and elderly care than men in Pakistan. This leads to women being more time poor and having less time to spend in gaining skills and getting jobs. Social norms also do not support women’s involvement in economic activity outside their homes and this forces them to either fall back in the informal sector (women are heavily concentrated in it) and rely upon unskilled or low skilled jobs (mostly home-based) or to simply not participate in the wider economy. Adoption and effective implementation of home-based and domestic workers laws can address informal economy issues of extremely low wages and lack of access to social security. The burden of unpaid care work with high fertility rate is in many ways at the root of all of these problems because more children result in more unpaid care work and it also means that women will be in poorer health conditions, especially in lower and middle-income levels, rendering them unable to acquire the skills needed for gainful employment opportunities. While recognising women’s overwhelming engagement in unpaid care work, private and public sectors must contribute to reducing the burden by, for example, investing in day care centres and adequate maternity and paternity leaves. As part of a wider behavioural transformation process, men in the family need to start sharing unpaid care work with women. Safer public spaces: Less than half of women surveyed in a 2013 study reported that they feel safe while walking around in their neighbourhoods and such women are also more likely to work than women who do not feel safe. Effective implementation of laws on sexual harassment and violence against women will encourage more women to engage in economic activity outside their homes. Regular massive awareness-raising campaigns are needed to change social norms that perpetuate gender-based violence both at homes and outside. The government and other partners must work towards making harassment-free transport options available for women to access jobs. Availability of gender friendly services at workplaces: Formal sector has massive disparities in terms of women’s underrepresentation in almost all areas of economic activity. A recent study highlights that Pakistan has the highest gender wage gap in the world that gets more pronounced by women’s minimal representation in STEM (science, technology, engineering and math) fields because apparently women in some of these fields experience relatively less wage disparity (10pc) compared to other sectors. Women with the requisite educational qualifications also find that the prospective employers don’t have the ability or will to address the needs of their women employees. This partly explains the phenomenon of highly educated women — for instance doctors — opting out of the careers they are qualified for. Their degrees or their qualifications are often seen as an asset in terms of improving their marriage prospects rather than contributing to the society at large. Private and public sectors must provide basic facilities such as separate washrooms, effective anti-sexual harassment mechanisms and residential facilities for women’s increased participation. Enabling environment for women-owned businesses: Globally women-owned businesses are found to hire more women. Pakistan has 1pc of women entrepreneurs because they experience several challenges, including limited access to finance and markets. Punjab has adopted inheritance laws reforms to improve women’s access to their inherited agricultural land and urban property that can also improve their access to finance. 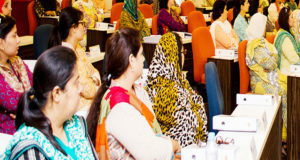 Pakistan needs its women to enter the workforce and thrive in public and economic life. Investment in human capital, gender sensitive policies and transforming social norms can change the status of women’s economic participation and put the country in the direction of growth and prosperity. 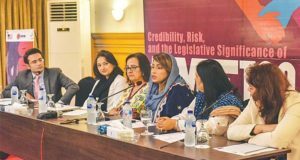 Without increasing women’s participation, Pakistan cannot meet its development targets or reasonably expect to become a competitive state and society in the 21st century.